Spending holidays in Bali? Don’t worry. You can still have a proper Easter moment at Sofitel Hotels & Resorts, Nusa Dua, Bali. Have a lovely family time with an exquisite epicurean Easter brunch experience for the whole family à la Française. Rasa Restaurant’s culinary team presents a unique dessert buffet table this Easter to please guests of all ages. 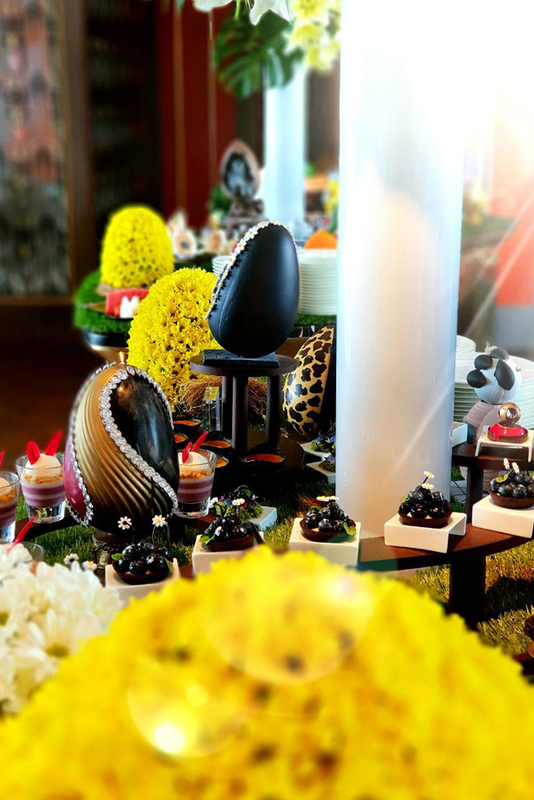 With two stunning dining venues, along with a tropical open-air terrace near the hotel’s chic swimming pool, lies a special Easter-themed corner offering a feast of custom shaped egg and bunny chocolates. The Executive Chef Olivier Piganiol’s signature dishes including fresh sustainably-caught seafood; hand-pulled La Mian noodles; and authentic Iberico, and the Easter-themed desserts will be available on Sunday, April 21, 2019, from 11:30 AM to 3:30 PM, worth Rp 418,000++ per person. 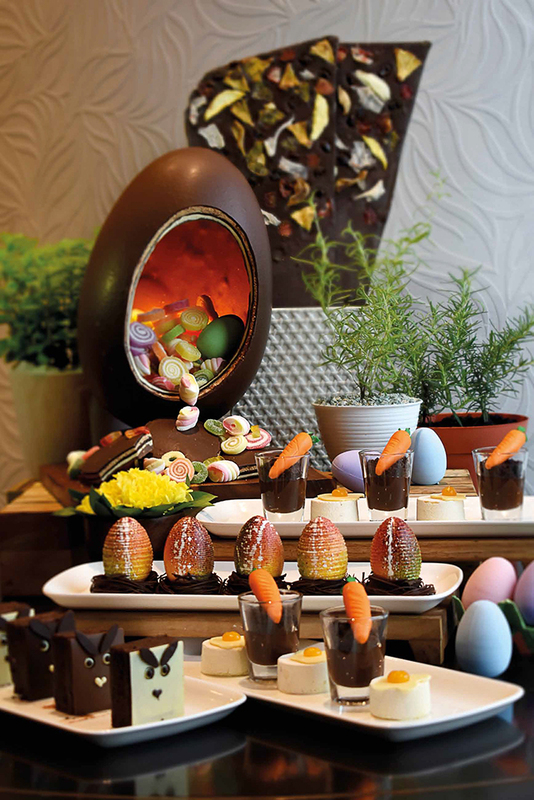 The Four Seasons Hotel Jakarta offers many ways to celebrate Easter this year. From Limited Edition of Easter Egg Collection at La Patisserie, exquisite Sunday Brunch at Alto Restaurant & Bar, to a special Chocolate Treatment at The Spa, all are available today until April 21, 2019. 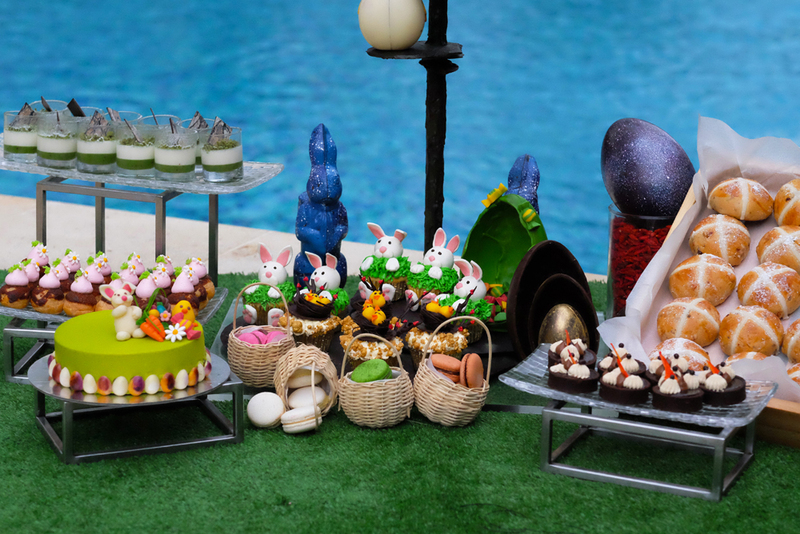 Specially handcrafted Easter Egg with a Golden Ticket inside gives you the chance to win La Patisserie, Alto Sunday Brunch, Suite Stay Credits, or even the Grand Prize which is a two-night stay in your very own Private Pool Villa at the Four Seasons Resort Jimbaran Bay in Bali. However, the collection is limited to only 40 eggs. 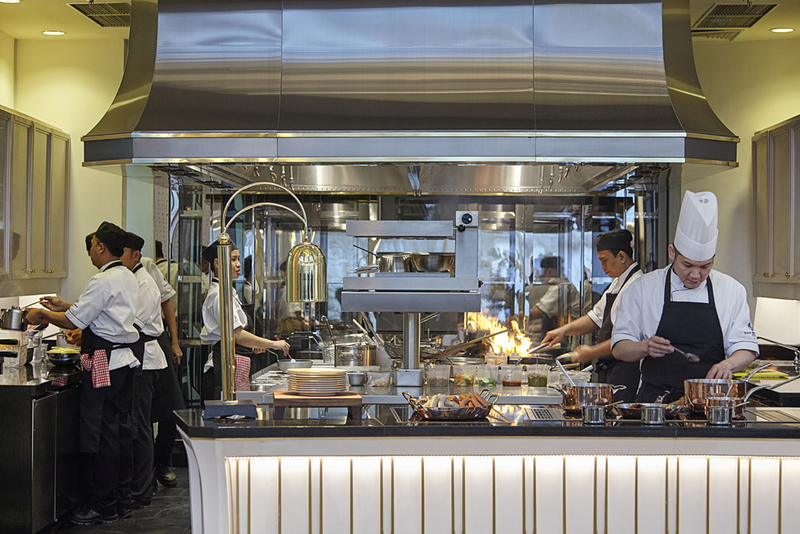 A three-course set menu inspired by Asian flavours will be specially prepared by the Four Seasons Hotel culinary team. Start your Easter lunch with Balinese Crab Cake, continue with mouth-watering Pan Seared Tropical Norwegian Salmon for the main course, and ended it with a slice of Carrot Cake. Do you want to dine out with homey vibes? Book for an al fresco brunch or lunch at Alto’s terrace. 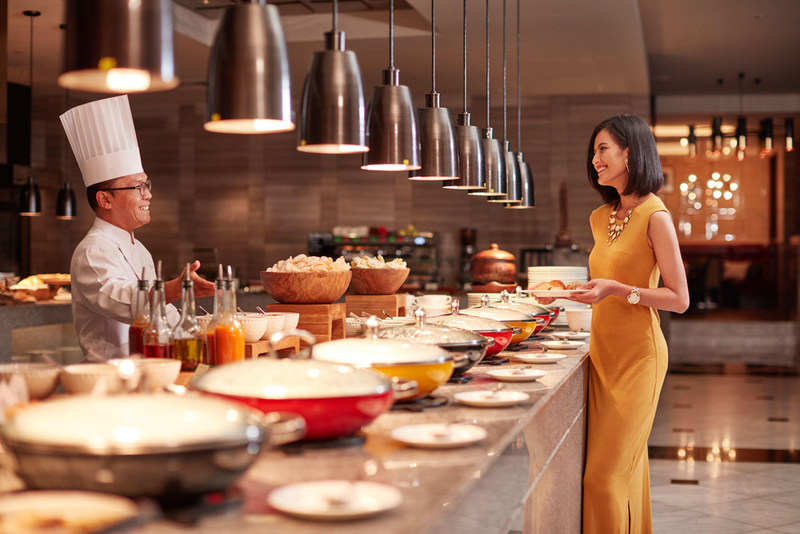 It provides classic buffet with a grilled station, pasta station, smoke beef, chicken, and all kinds of cheese, and also an Easter themed dessert corner alongside the Campari Corner and Wine Trolley. The menu is on April 21, 2019, from 11:30 AM to 3 PM. Enjoy a 120 minutes spa worth IDR 2,250,000 ++ with a chocolate body scrub and a body massage that ends the spa session with a chocolate bath. The spa uses chocolate for its “anti-aging” properties that increases blood circulation, hydrates, and soothes the skin with its excellent lubricating qualities and emollient virtues. Fairmont is celebrating this year’s Easter festivities by offering a special Brunch at Spectrum and Sapori Deli and an Easter-themed Afternoon Tea at Peacock Lounge on April 21, 2019. Serving international gourmet selections for the Easter Brunch at Spectrum, the guests would not have to worry about bringing their kids since there will be various activities for the little ones, such as Easter egg painting and cookie decorating, which are available at the Kids Zone. Priced at IDR 625,000++ per person inclusive of beverages, children that are under 5-year-old will dine free. While children between 6 and 12 years old get 50% discount from 12 to 3 PM. Meanwhile, Sapori Deli offers a classic Italian buffet which features dishes such as Margarita Pizza, Roasted Lamb, Chicken Picata, and classic Italian Tiramisu. Easter Kids Zone will have a special Kids Buffet to serve most of the kids’ favourite food such as Mac and Cheese, Mini Burger Sliders and many more. Open from 11 AM to 3 PM, the package is priced at IDR 450,000++ per person. Lastly, you can have an Easter Afternoon Tea at Peacock Lounge that consists of four-tier signature afternoon tea drawers adorned with Easter treats. Enjoy handcrafted Easter eggs as well as canapés, sandwiches and scones, that will be available from April 15 – 21, 2019, priced at IDR 588,000++ per set. 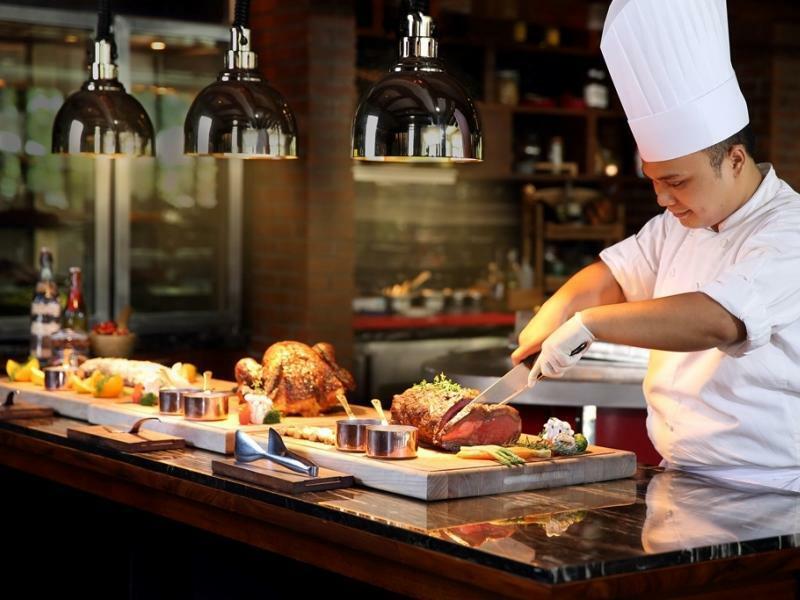 Pasola Restaurant at The Ritz-Carlton Jakarta, Pacific Place celebrates Easter with Sunday Brunch on April 21. The specialities will include Greek Style Rosemary Roast Lamb, Torta Pasquela, Lobster Ravioli Thermidor, Coffee Rubbed Wagyu Beef Rump Carving, Easter Egg Ricotta Tart, Prawn Orange Gratin and Chocolate Almond Simnel Cake. For the children, there will be an Easter egg hunt, egg decoration and bouncing castles. Prices start at Rp 518,000++ per adult and Rp 238,000++ per child.